Need a quick and inexpensive gift idea? How about an 11 OZ. 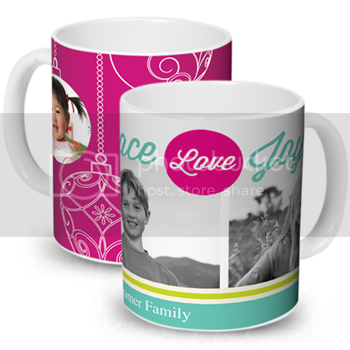 Custom Photo Mug Only $1?! Think of teachers, co-workers or Secret Santa! Hurry - this offer expires 12/15/12. Use the code 1MUG at checkout. You will not be able to combine these offers so choose your favorite! Happy Shopping! New Customers Only. 1 use. Quantity limit 1. S&H not included. Online Orders Only. Exp. 12-15-2012. Standard Shipping For One 11 OZ. Ceramic Mug $5.99 and all additional mugs in the order ship at $1.99 each.